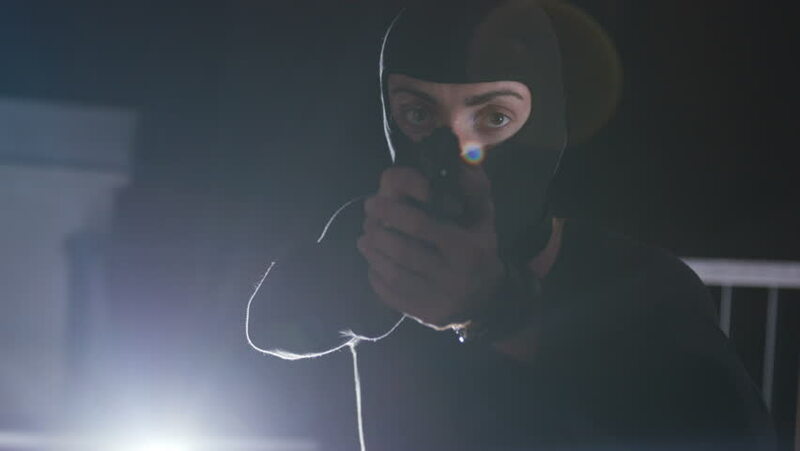 Dangerous criminal in black balaclava holding gun in hands and looking directly at camera. Portrait of masked Caucasian man in night. Lifestyle. hd00:13dangerous terrorist in a balaclava smokes a cigarette and makes a lot of smoke. hd00:47Professional fencer in protective uniform practicing maneuvers with sword alone in dark studio . Fencing demonstration on black smoked background . Shot on Arri Alexa cinema camera in slow motion . hd00:14Female scared of looking on white background. Attractive brown hair woman hiding behind hands scared and looking away in slow motion.